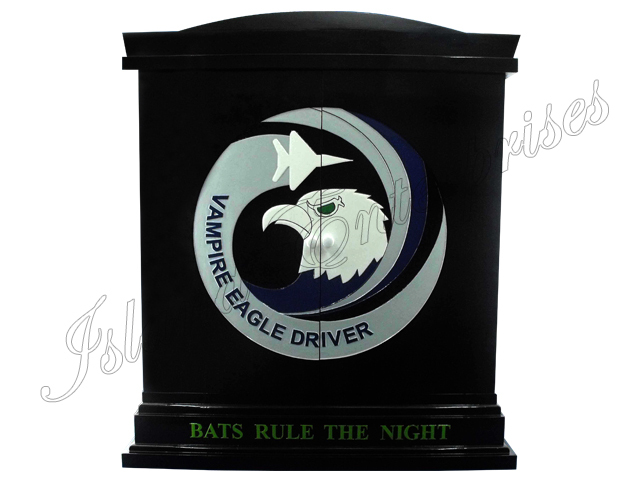 This hand carved and painted dart board cabinet is perfect for your squadron, you can customize this any way you want. Remember, we offer a 100% money back guarantee if you're not totally satisfied you have bought the best product available on the market. <a href="mailto:sales@islandenterprises.net">Contact Us</a> for price quote.